(JTA) – Three Republican senators introduced a resolution that recognizes Israeli Americans as a class that deserves protections against discrimination. The resolution, introduced by Sens. Kevin Cramer, R-N.D., Ted Cruz, R-Texas, and Marco Rubio, R-Fla., “affirms that the Israeli-American community has contributed immensely to the society and culture of the United States; and condemns all forms of discrimination that aim to marginalize or disenfranchise members of the Israeli-American community.” Cramer, a freshman, announced the resolution April 6 at the annual meeting in Las Vegas of the Republican Jewish Coalition. The resolution is the result of work by the Israeli-American Civic Action Network, a relatively young group that reflects the increased activism of Israeli Americans acting and lobbying independently from the organized Jewish-American community. 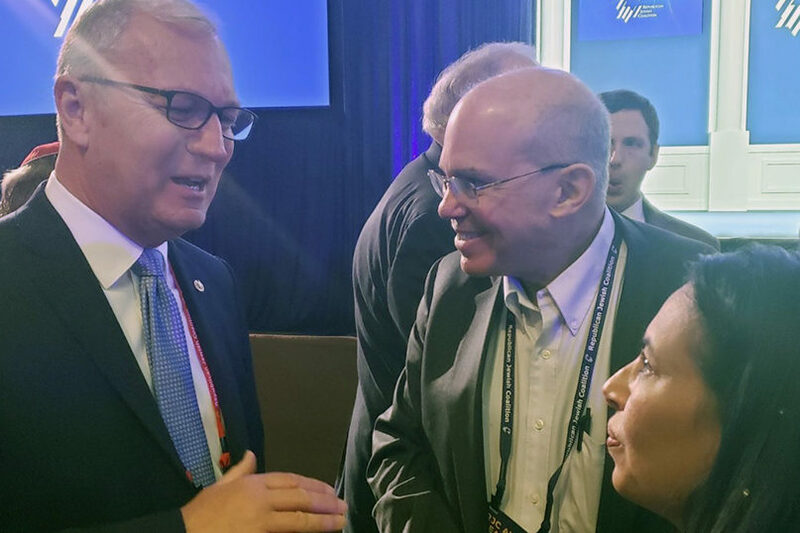 A sister group, the Israeli-American Council, praised the resolution. An official of the Civic Action Network said the resolution came about in part because of actions taken by the boycott Israel movement that target Israeli individuals simply because they are Israeli.